There are many conditions of the planet. There are mainly three conditions such as, Margi, Retrograde and Atichari. When planet moves in normal condition then it is called as Margi. When it moves fast then it is called Atichari. When it moves backward with same speed then it is called as retrograde. However, planet never moves back but duet to their speed we feel that. This glimpse is called as retrograde. The results of planets change when they become retrograde. It is believed that its results would be reversed. Planet affects two houses and its effects many houses. Therefore, planets become strong when they retrograde. Sun and Moon never become retrograde while Rahu and Ketu are always remains retrograde. Mars: A person would be courageous and generous when Mars is retrograde. He might become surgeon. However, if there is impact of bad planets then person might do crime. In this case, it is beneficial to do fast on Tuesday. Mercury: A person would be clever and know how to earn money when Mercury is retrograde. He might become selfish and poor if there is impact of bad planets. In this case, donate green stuff on Wednesday. Jupiter: A person becomes spiritual and intelligent. He reaches bottom to top. But they have to work hard and it also creates problem in marital life. In this case, you should worship lord Shiva. Venus: A person would be attractive and well-favored. They get success in glamour industry. But their level of character decreases. They cannot get right life partner. In this case, you should worship lord Sun. 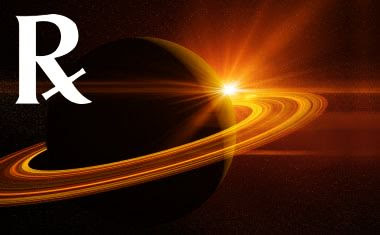 Saturn: A person might become king or poor when Saturn is retrograde. A person has prenatal effect on his horoscope. To avoid bad effects of retrograde Saturn, you should plant peeple tree and offer water daily. Remedy: If you’re facing problem in buying land then you should donate Jalebi or Imrati.